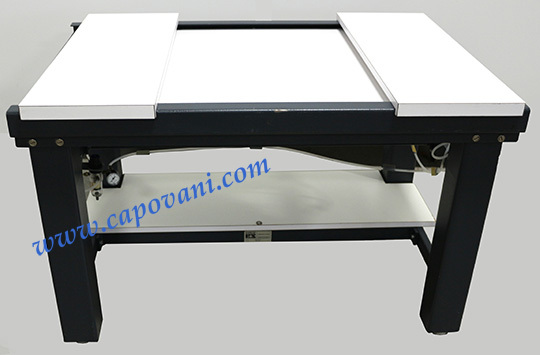 KINETIC SYSTEMS VIBRATION ISOLATION TABLE 30" X 48"
In addition to this Kinetic Systems, Inc. 1201 02 11, Capovani Brothers Inc stocks a wide range of used optical tables and vibration isolation tables. Typical manufacturers include Barry Controls, Ealing Electro-Optics, Kinetic Systems, Newport, and Technical Manufacturing Corp.(TMC). Arm rests shown are optional and not included.